Years ago, fathers were made to wait in the hallways and waiting rooms until they heard how their partners and babies were doing. This is no longer the case. Times have changed and now fathers get to be very involved in the birth of their children. 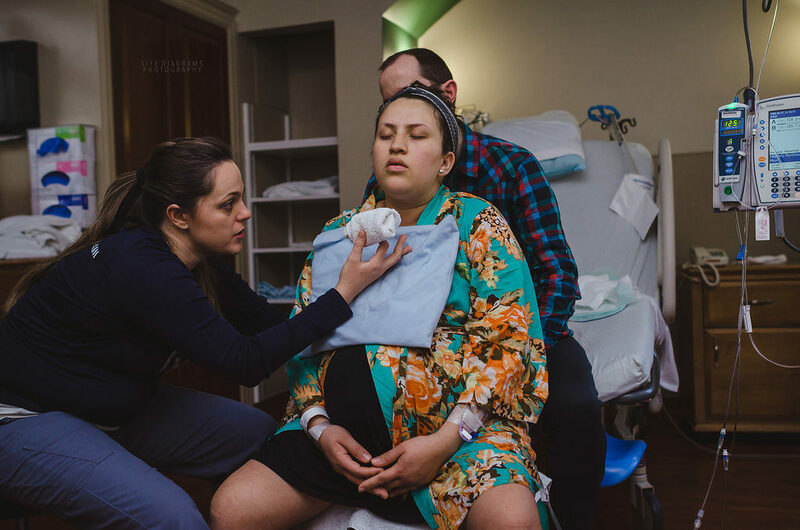 They have to try and remember all of the labor terms, medical procedures, positions and massages, techniques for a more comfortable labor as well as how to keep mom breathing and relaxed, all without leaving the mother’s side. A doula does not take the place of the father. Rather, she is there to support the mother and father together as part of the birth team. Studies have even shown that it can help bring a couple closer and make the birth more intimate. With doula support, fathers tend to stay more involved with their partner rather than pull away in times of stress. We are there to help bring out dad’s inner super star supportive self, and enable him to show his love for his wife as she labors to bring your baby earthside.